Toward the end of my dissertation writing, I posted a short story on Facebook each time I finished a chapter, describing my victory and advancing a simple storyline. It started in jest, but I began to really enjoy the updates–they were a perfect way to describe the relief I felt at each chapter’s close. While I was struggling through thick, academic verbiage I was imagining what the next bit would be like, the next genre I’d steal from. I’m not sure that the best reward for writing is more writing, but I had fun. Oh and if they appear out of order, it is because I didn’t write my chapters in order, and didn’t do a FB update for the introduction or chapter three. Enjoy! Slowly our heroine drags herself free of Chapter Four’s steaming corpse, pausing for only a moment to consider the 20 photos, comic strip and 13,600 words that comprise the pustulent hulk that she has just slain. Though the journey remains long, and the rewards sparse, she soldiers on–sunny skies now, but the darkness of Chapter Six looming ever closer on the horizon. Alas. With a grim twist of her blade, our heroine gutted the immense, serpentine corpse of Chapter 6. First she had lost her closest companion to a tiny island in the North, then she lost her home in a fit of insanity. After an eternity of sailing dark tides on a tiny craft, she moored next to a great cave where the beast slept, its oddly pixellated head barely visible in the dim light. With easy confidence she cut off the head, “snicker-snack” but instead of expiring, the beast’s baleful green eye opened and shone with the light of a million computer terminals. The ground shuddered as the rest of the beast lurched into view. Not just a simple dragon–the beast was a hydra. The earlier hope, that this would be an easy part of the quest, was shown to be deeply, deeply foolish. 19,000 words later, she was done. In the morning she would make sure the hydra was completely dead, but for now she was exhausted. She would continue to the tiny Northern island to retrieve her companion, then plot her course for Chapter 5. The nefarious Chapter 5 lived in the distant shadow mountains, where she would have to clamor up the slopes in the pitch dark, feeling for invisible obstacles as she went along. She had put off this journey, as the hydra was well-known, or so she had thought. Maybe this next one would be easy. Probably not. But now it was time to move on, as time was running out. Her eyes fixed on the giant, flashing display and she cursed and bit her lip. Moving her little silver ship through the edge of the nova had, of course, been a bad idea. She was not ready for the wretched Chapter Fiveians to launch their attack, but she had no choice. After all, they were the prey. She shoved the display out of the way and cut the blaring alarms. The Fiveians were coming in fast and her visibility was next to nothing, outside of the primitive sensing capabilities of her ship. She took a deep breath, then hit the thrusters hard, the entire craft shuddering around her. Something clanged out of place, probably the dinner that her co-pilot prepared and then forgot. Where was he, anyway? Probably headed off to a side-mission again. Finally, she got a visual on the Fiveians. Their ship was lean and mean, better equipped with bigger guns, but she caught sight of a massive lacuna–there was virtually no literature on the subject! She aimed the guns on her little silver ship right at the sweet spot and fired, fired again and braced herself for the impact of the return fire, squinting her eyes and turning her head. There wasn’t any. Our heroine, for once, had caught a lucky break. Chapter Five winked into nothingness in space, and she was free to journey on to her second-to-last destination: Chapter Two. The dark outline of the saguaro cut into the orange-pink desert skyline, oddly unmarked by the shotgun blasts that disfigured most of the proud cactuses in these parts. The heat of the day had passed, and I tipped the last drops of water out of my canteen to my lips. I had a bottle of whiskey in my pack, but that would wait until later. The nag under my saddle was once a proud filly, chestnut hair shining, fractious and unforgiving. Her lank tail twitched toward a fly on her flank, but it was an empty reflex, and the fly went on undisturbed. I swung down from the old, faithful nag, patting her on the cheek as I retrieved the long rifle from where I’d strapped it across her shoulders. I unbuckled her saddle and let it drop to the ground, evoking only a mild nicker from the beast. With a sigh, I walked a few paces away, squaring off across from the man. “It’s a shame, really.” He spit again. “But it has to be done.” I felt around in my heart for something, some hint of emotion like love or guilt or pain. Came up as dry as my canteen. I shouldered the gun, widened my stance, and shot, bracing my shoulder for the impact. Poor dead horse. It was time for the conclusions. Battered, bruised, and alone, she approached the giant iron door. She knocked, three leaden tones that rung out in the silence. A very small window opened and a bored and slightly vacant face stared at her. “You rung the bell?” The doorkeeper frowned. The huge door swung open, revealing a massive throne. A purplish cloud of smoke obscured the top of the throne and suddenly she felt dizzy, nostalgic. Was she really ready? “I AM THE GREAT WIZARD OF OZ.” A great voice thundered and flames burst from behind the throne. Instead of being impressed by the display, she was suddenly completely unafraid. With a small shrug, she marched up to the throne and threw a folder full of paper at the seat. “SILENCE.” The papers ruffled slightly, as if a breeze had swept through the throne room. “STEP FORWARD.” She threw back her shoulders and thrust her chin in the air. Who cares if there was a comma splice in the abstract? She was quickly shuffled out of the throne room and into the hall. She smiled, clicked her heels three times, and disappeared. I was searching for something else on my computer and came across my thesis acknowledgements. I wrote them in that wild and woolly period last December where I was white-knuckling through the necessary fore-and-aft detritus of the thesis. As always happens, I accidentally left a few people out, alas. But I included a building, the ARF, which is surely very fashion-forward contempo-materiality-networky-thingy thinking, right? The decorations adorning the atrium of the University of California, Berkeley’s Archaeological Research Facility strike me as slightly macabre. The polyester “snow” is strategically covering the fake archaeological excavation in the corner, dripping from the plants that are always neglected, and lining the framed photographs of graduate students doing outreach with children. It’s the beginning of December, and the semester is winding down around me, the students finishing their finals and getting ready for the holidays. Though the strung lights and nutcrackers are a bit much, the atrium holds an airy loveliness that is lacking in so many academic buildings. The stately red brick and windows retained from when this was an outside area of the building, the fantastic Paleolithic mural covering the west-facing wall, and the strict geometry of the earthquake-proof girders bracketing the walls, and the transparent pyramid-shaped roof all come together in a place that is the heart of the department. In this atrium I’ve attended functions honoring many of the professors, receptions after talks, convened meetings with advisors and other graduate students, taught undergraduates how to plot artifacts in an archaeological drawing, and even taught the history of the building, its status as a frat house and the subsequent occupants, each living in the space and remaking it as their own. It is the appropriate place for nostalgia, for remembering and acknowledging the previous occupants of this building, and how I got here, and how this dissertation came to be. My committee members, Ruth Tringham, Meg Conkey, and Nancy Van House have generously and enthusiastically opened their lives and research to me, and I cannot imagine my graduate career without their wisdom, humor, and indulgence! I have no small amount of awe for these pioneering women in academia who fought relentlessly for recognition of their research in the face of normative patriarchy. My advisor, Ruth, stood with me and kept pushing me to be more reflexive, to challenge my own preconceptions, and to have ridiculous amounts of fun. Meg was always ready with incisive comments that exposed uncritical thinking and fostered introspection and enlightenment. I deeply enjoyed my long conversations with Nancy Van House at various coffee shops around Berkeley, and always came away delighted and inspired by our shared digressions and passion for photography. This dissertation would also not have been possible with the fantastic energy, love and support from professors who were not on my committee. Rosemary Joyce’s white-hot brilliance always inspired me, but it was her mentorship and tremendous kindness that got me through some rough times. Steve Shackley helped me find several great resources on early archaeological photography, and always had a sly political quip and a half-grin that made me genuinely regret that I could not somehow work obsidian into my dissertation research. A writerly debt is owed to Laurie Wilkie; I hope that I can inspire with words half as well as she can some day. A big thank you to Benjamin Porter for allowing me to work at Dhiban, and to Ian Hodder who allowed me to work at Catalhoyuk. Also, I would be absolutely remiss not to express my gratitude to my undergraduate professors Samuel Wilson and Maria Franklin at the University of Texas, who are both wise and radical in their very own ways. A special thank you to Jamie Chad Brandon, who was the first one to tell me that I too could be an archaeologist. I have learned just as much, if not more outside of the brick walls of the Archaeological Research Facility as I have within. My mentors in the field, Roddy Regan, Lisa Yeoman, Michael House, James Stewart Taylor, Freya Sadarangani, Shahina Farid, Cordelia Hall, David Mackie, and Gareth Rees taught me so much and put up with the ridiculous American with big ideas and a big mouth. To all of my friends, colleagues, stakeholders, and stake-wielders in the field, I miss the starry skies, the campfires, the cold, the hot, the beer, the antics, the storytelling, and your company. May we all be gainfully employed, somehow. I had the tremendous misfortune to move away from great friends, the fantastic good fortune to gain new friends, and then the inevitable let-down of having to move away from all of those friends too. John Lowe and Dan Machold, you are honest, true, and amazing people all around. You are my strength. Thank you to Rob Browning for living and growing with me for so long. My brilliant, invincible posse of lady friends, Shanti Morell-Hart, Doris Maldonado, Nicole Anthony, Kathryn Killackey, Sara Gonzalez, Burcu Tung, Cheyla Samuelson, and Melissa Bailey are without parallel. I treasure and admire each of you in perhaps unhealthy amounts. My community of fellow archaeologists, academics, and good friends, James Flexner, Andy Roddick, Esteban Gomez, Nico Tripcevich, Rus Sheptak, Tim Wyatt, Jun & Charlotte Sunseri, Heather & Eric Blind, Michael Ashley, Cinzia Perlingieri, Orkan Umurhan, Jason Quinlan, Dan & Yesim Thompson, David Cohen, Jesse Stephen, and Guy Hunt, thank you so much the inspiration and support over the years. I would also be remiss to leave out my colleagues online throughout the years; you have leant such enthusiasm to my research that I could not let you all down! Thank you to my lovely mother, Elizabeth Kelly, who always likes it best when I “talk about people” in my writing and is always my inspiration for strength, kindness and love. Thank you to Don Freeman, my father with a big sense of humor and a bigger heart. My love and thanks to my brother Matthew and to his darling son Raiden. My love and regards to my English family, the Eddisfords, who continually delight me with their kindness and who have welcomed me with open arms. Finally, words cannot express how much gratitude I have for my husband, Daniel Eddisford. You are the cup that was waiting for the gifts of my life. Thank you. Command-S. I think I picked it up from video games, or maybe even from Choose Your Own Adventure books. I’d read each story, keeping a finger between the pages at each decision point, and then another one, and another one until all of my fingers were used up and I’d be flipping back and forth to find the optimum route. 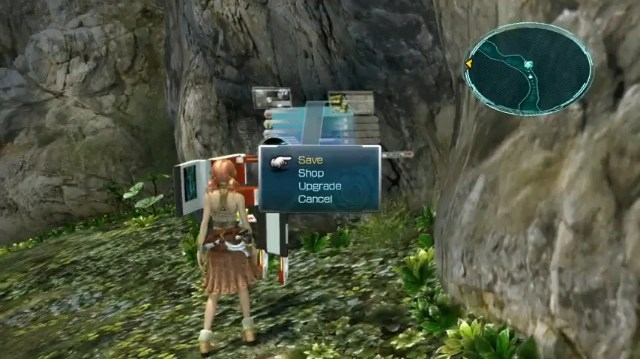 In video games I’d run back to the save point, use unique names for each of the files, fill up all my “save cards” or eventually hard drives. It isn’t so much that I was anxious about making the wrong decision but more that I wanted to experience everything the book or game had to give. The Bartle Test of Gamer Psychology scores the game playing style of gamers according to card suites, with Diamonds = Achievers, Hearts = Socializers, Clubs = Killers and Spades = Explorers. While I haven’t formally taken the test, I’d score pretty high in the Spades category, always exploring the level until the very edges of the in-world earth, looking for the extra dialog or funny-colored sword. My imaginary rucksack was always full. I have been writing so much and for such sustained periods of time that I find myself in the same compulsive mode, command-S, command-S, command-S. Save. I have started doing it in emails now, annoyingly, as Google Chrome offers to save my entire screen, and on Facebook, command-S. All dissertation writers get their own personal ticks, I suppose. Next week, visa-Gods willing, I’ll be on the road again with my not-so-imaginary rucksack. I’ll be headed to London to work with the incredible L-P Archaeology on the developer-funded Minories Project, a fantastic excavation right outside the Tower of London. I’m taking this six week diss-break because L-P gave me free reign with digital media and interpretation and it’s perfect for setting up some fairly experimental postdoc work. Time to see if I can find the edge of the world again. Command-S! Entreaties to “fit in” aside, the excavation team was constantly harassed by the locals on the street, particularly the women on the team; no amount of discreet dressing or walking in pairs stopped rocks from being thrown or come ons from local youth. Being up on the opposite tell was a relief from living in the small, rural town; only a few goatherds and our trusted workmen accompanied us while we were on site. Still, the relationship we had with our workmen was complex—most of them did not speak English and most of the archaeological team did not speak Arabic. The workmen were primarily older men who had lived and worked in the area for most of their lives, while the archaeology team was young and foreign; as a younger woman directing older men within a landscape that was more home to them, I negotiated the difficulties in customs and language as best as I could. It is a truism in the Middle East that white women are to be treated as men by Muslims, though in truth we inhabit a third gender, an ambiguous pastiche of impressions gleaned from foreign media, personal experience, true curiosity and a profitability assessment. While we could negotiate this ambiguity on an individual basis, or in small groups, our status as outsiders made us extremely vulnerable to harassment and insulting encounters outside of the confines of the accommodations and the tell. Many female archaeologists are loathe to discuss this aspect of working in the Middle East (or, indeed, in other contexts–sexism is not an exclusive trait); we are expected to “fit in” and not complain so that we will be viewed as equal to male archaeologists. 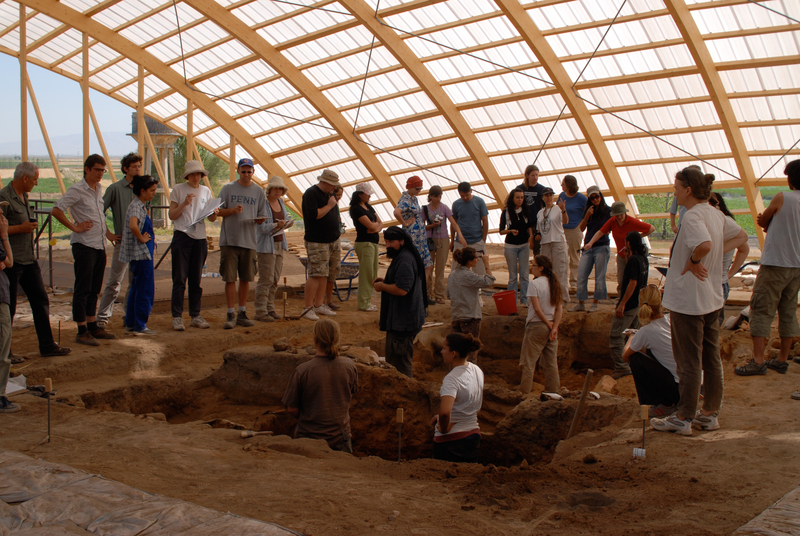 Complaining about ill treatment would jeopardize our standing as equals to male archaeologists. Not “fitting in” bears a stigma, if you are harassed then it is seen as a failure as an anthropologist to successfully negotiate your surroundings, and this has a serious chilling effect for women working on archaeological projects. In 2011, journalist Lara Logan was attacked while covering the Egyptian revolution in Tahrir square, but she spoke out regarding her sexual assault, and in doing so both highlighted the embodied violence that both western and local women are threatened with on a daily basis. Working in much of the Middle East is a tacit acceptance of treatment that would not be acceptable in the United States, submitting to this treatment in hopes to “fit in” and remain silent and professional is part and parcel of this arrangement. Working in the Middle East is a constant negotiation of gendered terms, re-positioning our identities as professionals and respectable women in a context that has absolutely determined that we are neither of the above.